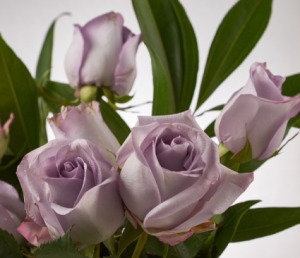 This elegant purple flower assortment is perfect for any wedding or event. This assortment will have over 60 stems that are listed in the arrangement information. Must be ordered a minimum of 3 weeks in advance for your occasion. Enhance your assortment with 20 St Denrodbium Orchids for $95, 20 St Dark Moon Carnations for $50. Add our Greenery Assortments to complete the look. *Flowers only. No variations. 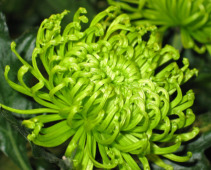 This green flower assortment is perfect for any wedding or event. This assortment will have over 60 stems that are listed in the arrangement information. Must be ordered a minimum of 3 weeks in advance of the event. Enhance your assortment with 25 Roses for $75, 20 Dendrobium Orchids for $95, 25 Mini Hydrangea for $80. Add in your choice of our Greenery Assortments to complete the look. *Flowers only. No variations. 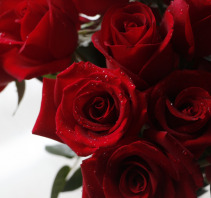 This romantic red flower assortment is great for any wedding or event. This assortment will have over 85 stems that are listed in the arrangement information. Must be ordered a minimum of 3 weeks in advance for your occasion. Enhance your assortment with 20 Gladiolas for $75, 20 Spray Roses for $65, 25 Carnations for $30, 20 Dendrobium Orchids for $95. Add our Greenery Assortments to complete the look. *Flowers only. No variations. This perfect pink flower assortment is great for any wedding or event. This assortment will have over 60 stems that are listed in the arrangement information. Must be ordered a minimum of 3 weeks in advance for your occasion. Enhance your assortment with 25 Hot Pink Roses $75, 25 Light Pink Roses for $75, 20 Dendrobium Orchids for $125, 20 Gladiolas for $75, 25 Carnations for $30. Add our Greenery Assortments to complete the look. *Flowers only. No variations. 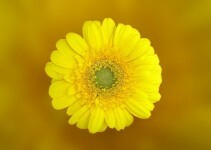 This yellow flower assortment is perfect for any wedding or event. This assortment will have over 60 stems that are listed in the arrangement information. Must be ordered a minimum of 3 weeks in advance for your wedding or event. Enhance your assortment: 25 Roses for $75, 20 Spider Chrysanthemums for $50, 25 Carnations for $30, or 20 St Gladiolas for $75. Add our Greenery Assortments to complete the look. *Flowers only. No variations. 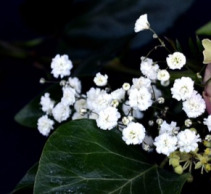 This pristine white assortment is perfect for any wedding or event. This assortment will have over 60 stems that are listed in the arrangement information. Must be ordered a minimum of 3 weeks in advance for your wedding or event. Enhance your assortment with 25 Roses for $75, 20 Dendrobium Orchids for $95, 20 Posy Calla Lily for $75, 20 Hydrangea for $100, or 25 Carnations for $30. Add our Greenery Assortments to complete the look. *Flowers only. No variations. 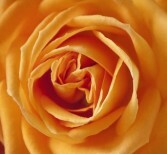 This decadent apricot flower assortment is perfect for any wedding or event. This assortment will have over 85 stems that are listed in the arrangement information. Must be ordered a minimum of 3 weeks in advance for your wedding or event. Enhance your assortment with 25 Carnations for $30. Add our Greenery Assortments to complete the look. *Flowers only. No variations. This perfect pink flower assortment is great for any wedding or event. This assortment will have over 60 stems that are listed in the arrangement information. Must be ordered a minimum of 3 weeks in advance for your occasion. Enhance your assortment with 20 Assorted Altromaria for $55, 20 Blue Dynamite Eryngium $80, 60 Mixed Germini's for $100, 20 Sunflowers for $65, or 25 Carnations for $30. Add our Greenery Assortments to complete the look. *Flowers only. No variations. 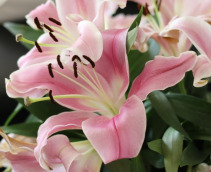 This perfect pink flower assortment is great for any wedding or event. This assortment will have over 40 stems that are listed in the arrangement information. Must be ordered a minimum of 3 weeks in advance for your occasion. Enhance your assortment with 20 Dendrobium Orchids for $125. Add our Greenery Assortments to complete the look. *Flowers only. No variations. This bundle of Baby's Breath is the perfect addition to any wedding or event. This assortment will have over 4 bundles of Gypsophilia Over-Time. Must be ordered a minimum of 3 weeks in advance for your occasion. Enhance your assortment with one of our Flower Assortments. *Flowers only. No variations. 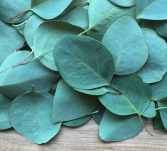 This assortment of Eucalyptus is the perfect addition to any wedding or event. This assortment will have over 3 bundles of your choice of Feather, Seeded, or Silver Dollar Eucalyptus. Must be ordered a minimum of 3 weeks in advance for your occasion. Enhance your assortment with one of our Flower Assortments. *Flowers only. No variations. 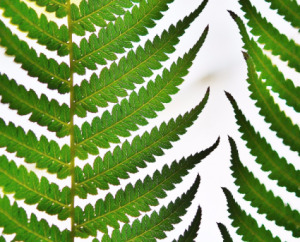 This assortment of Tree Fern and Leather Leaf is the perfect addition to any wedding or event. This assortment will have over 5 bundles of greenery. Must be ordered a minimum of 3 weeks in advance for your occasion. Enhance your assortment with one of our Flower Assortments. *Flowers only. No variations. Make Beau Villa Flowers And Gifts your first choice for premium fresh flowers and upscale design artistry for your dream wedding and all your special occasions! Our wedding consultants can offer lots of beautiful style suggestions in an effort to create the overall look you hope to achieve. Ask about wedding floral packages that may include: the bridal bouquet ~ attendants' bouquets ~ corsages & boutonnieres ~ ceremony arrangements ~ candelabra flowers ~ pew markers ~ floral & foliage garlands ~ table centerpieces ~ flowers for cake tables ~ topiaries ~ arches & entryways, etc. With our talent, training and experience, we will bring your special day to life... with classic traditional bouquets, or more modern cutting-edge styles in bridal and wedding flowers. We can create a personalized look by adding embellishments to your bouquet and bouquet handle with sparkling touches or accents like heirloom jewelry, brooches, pearls, berries, butterflies, decorative colored wire, rhinestones, ribbon, burlap, lace, tulle, peacock feathers and almost anything else. Wedding flowers are something you will remember for a lifetime. These are the flowers that will always trigger special memories of the day you shared, so it's important to pick something perfectly you. 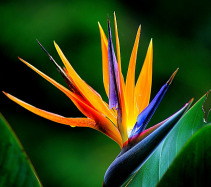 Just as important is choosing the right florist and Beau Villa Flowers And Gifts is ready to help you! Call us in advance at 780-929-2424 to schedule a consultation. We'd love to help you start planning your dream wedding or your next successful event. We want to provide you with flowers that are as beautifully unforgettable as your wedding day memories will be. Call Beau Villa Flowers And Gifts today!